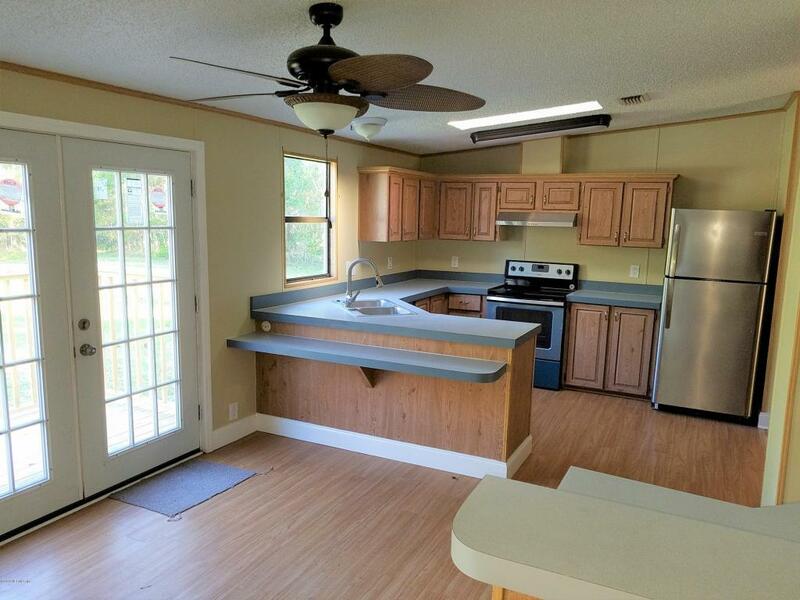 Freshly REMODELED & updated this 3/2 with over 1700 sq ft sits on 1.9 fenced ACRES surrounded by nature. 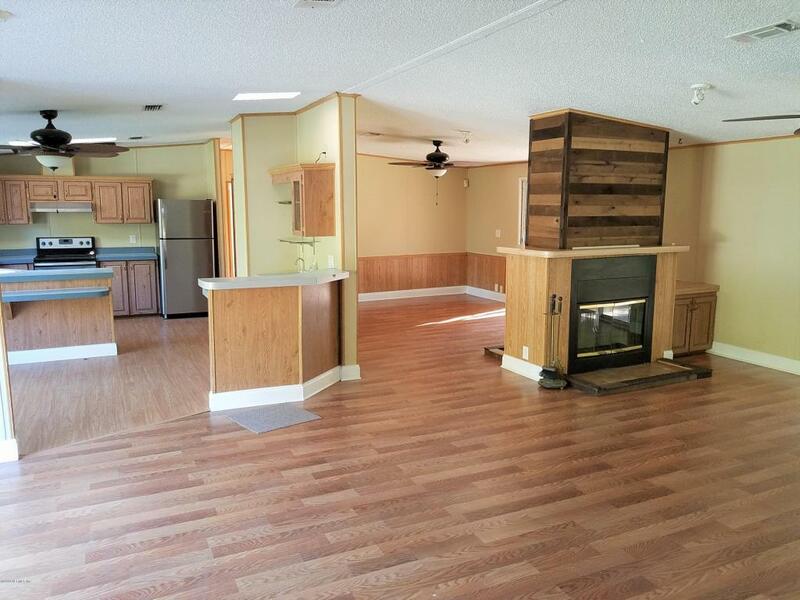 Home has new cement skirting, new STAINLESS STEEL appliances, master bathroom boasts jetted Jacuzzi tub, fresh interior paint, ceiling fans in almost every room, new laminate flooring throughout & FP. 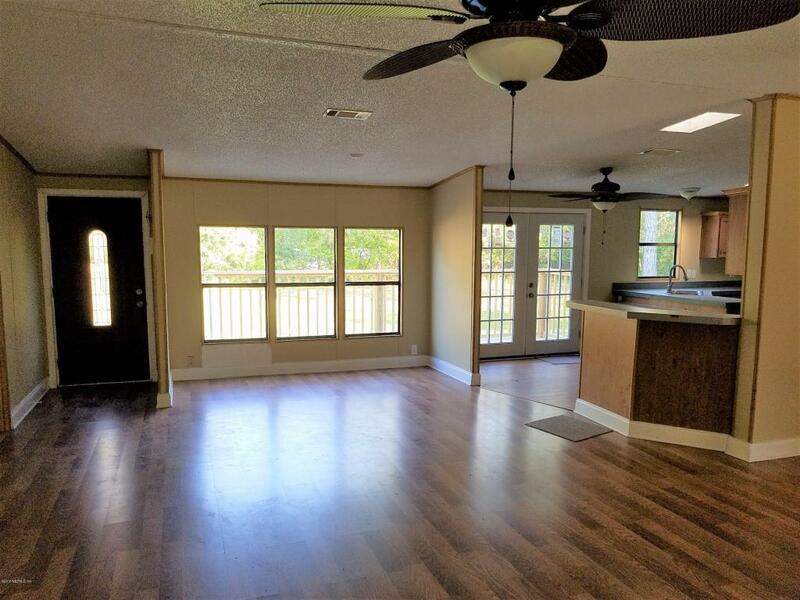 Relax on the front deck open to the stars or on the covered screen porch in the back. The yard is shaded by a variety of mature trees. Park under 2 CAR CARPORT plus metal shed for storage. Open rural zoning allows for a variety of uses including horses. 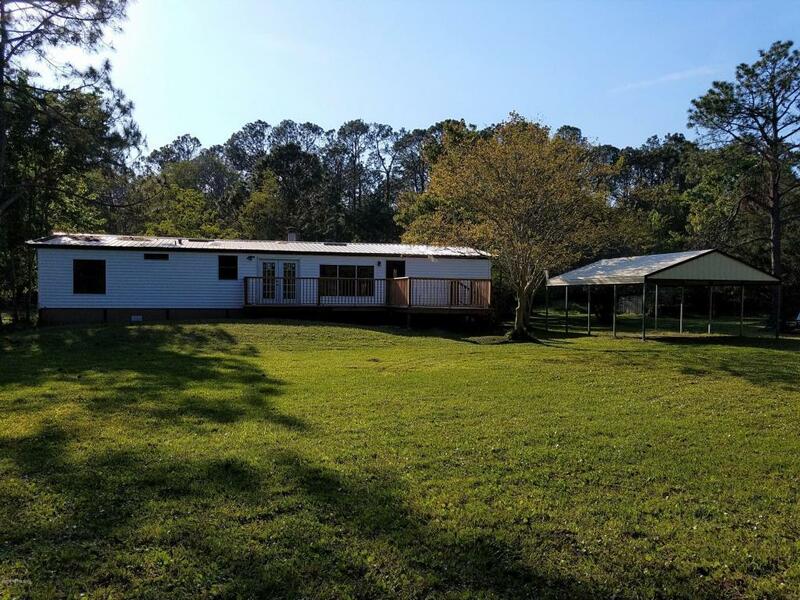 This property is tucked away at the end of a private dirt road.